There are a lot of new books about WWII, a war that ended over 60 years ago. It always amazes me that the new books are rarely a re-telling of the same story but instead, they look at the war from differing perspectives. I have reviews of three new books today and even though all three of them are about the resistance, they take place in different countries - one is set in Italy, one in France and one in Germany. In all three books, the authors did extensive research and give the reader fictionalized accounts of real events and real people. If you enjoy historical fiction about this time in history, give these books a try. 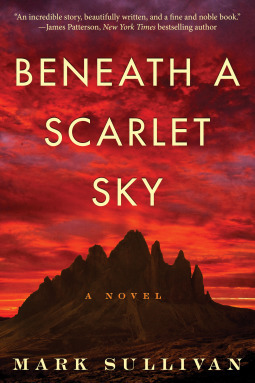 Beneath a Scarlet Sky is a fantastic book about a little-known hero from World War II. The author was able to spend time talking to this hero, who is still alive today, and did extensive research on the history during this time. The result is a page-turner thriller that will keep you reading to find out how the story ends. Pino Lella is a typical teenager in Milan in the early 1940s. He is interested in girls and music and girls. He pays little attention to the Nazi occupation until the Allies start to bomb the city on a daily basis. His parents decide to send him to a religious school for boys in the mountains that he has attended in the past, to keep him safe. He is anything but safe when he starts leading downed Allied pilots and people escaping from Italy to safety over a treacherous mountain route to Switzerland. He is called home by his parents who insist that he join the German Army - they felt it was safer to be in the German Army than the Italian Army and despite his misgivings, he follows his parents' orders. Once again, he puts himself in danger and works for the resistance while he is a member of the German Army. Beneath a Scarlet Sky is a wonderful novel about a brave man during the war and it's also the coming of age story of his life from being an innocent teenager to a young man who is searching for love and a peaceful life. The history books would have you believe that wars are won only because of the men on the front lines while the women are at home knitting socks and growing gardens. This wonderful book puts an end to that myth because it's about three strong women working in the French resistance during WWII. They all have different backgrounds and different reasons for fighting against the Nazi regime but their goal is the same. Rose lives in luxury in France. Her beloved husband died and she found out afterward that he had been helping the Resistance. She decides to carry on his role and is soon hiding British pilots in her home and helping them return to England. Hazel is engaged to a man in the British Army and wants to do more to help Britain win the war. She gets trained as an agent and parachutes into France to help the resistance. Sophia has been hiding her Jewish boyfriend in her apartment in Germany. Her father was a high ranking Nazi and she was aware of what the results would be if she was discovered so she and Alex escape Germany - he goes into hiding and she vows to work with the French. All three of these women were tough and brave on their own but when they joined forces, they were a force to be reckoned with. 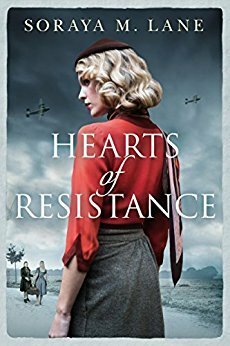 Hearts of Resistance is a wonderful, well-researched book about WWII in France and the French resistance. I loved the three main characters and their firm belief that they were willing to give up their lives to get the Germans defeated. This is a wonderful book about war and bravery and friendship among strong women. 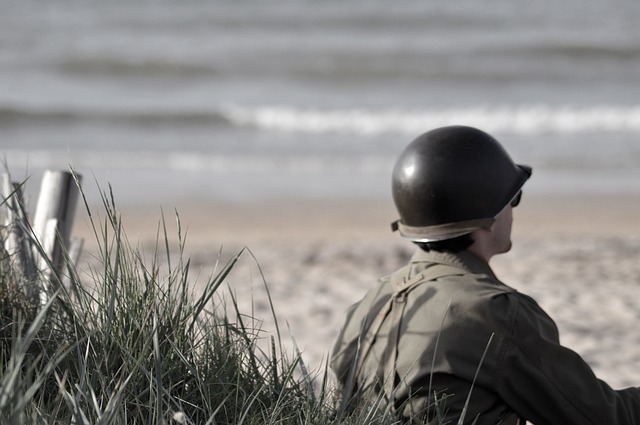 The Taster is a different look at World War II than readers are used to reading. 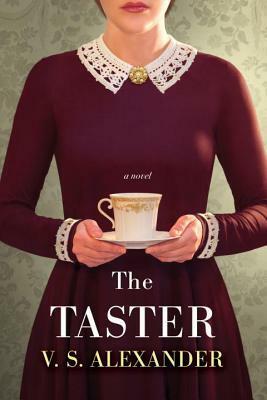 The Taster is told from the perspective of a young German girl and is about life inside Germany during the war. It's a coming of age story for a young girl with little to no interest in politics and war to a young woman who begins to see the moral dilemmas of the war and the inhumanity of the Nazi party. Magda's parents send her out of Berlin because the allies have started bombing and they fear for her safety. She goes to live with relatives and they feel that it is a German woman's role to have a job that will help the country. After several interviews, she gets a job at Hitler's mountain retreat as a taster - she tastes every food that he will be served at his meal to make sure the food hasn't been poisoned. She is willing to sacrifice her life to save the life of the ruler of Germany. The longer Magda is at the German headquarters, the more she learns about the inhumanity of the war and once she falls in love with a conspirator, she really begins to have questions. The Taster is a fantastic war story about a subject that we don't usually read about. It's a story about love and courage in the face of war.